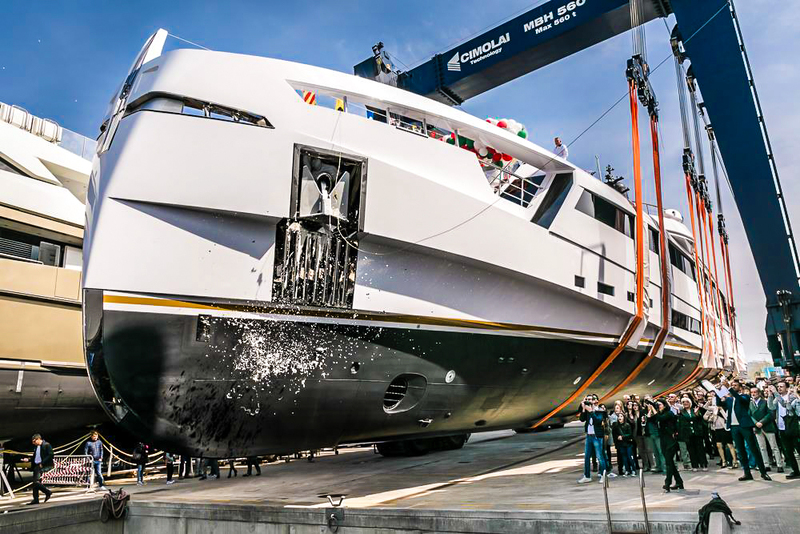 The latest luxury yacht from the facilities of Italian yard Rossi Navi recently emerged and was launched into the water. 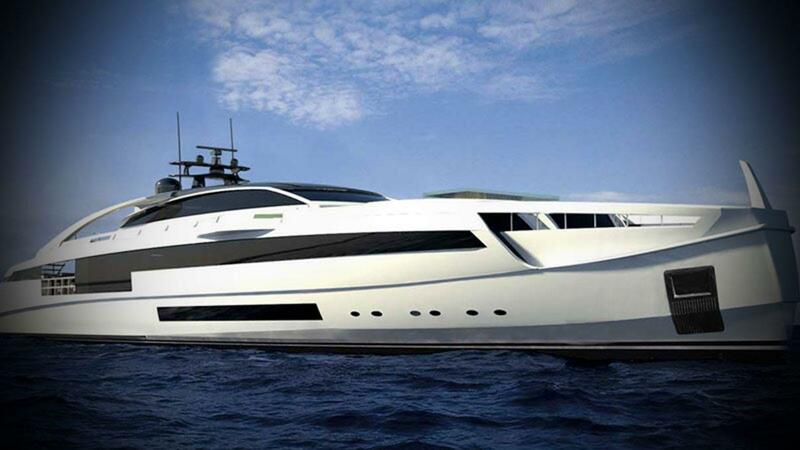 She is called "Aurora" and is what was known under construction as the Longitude 47. 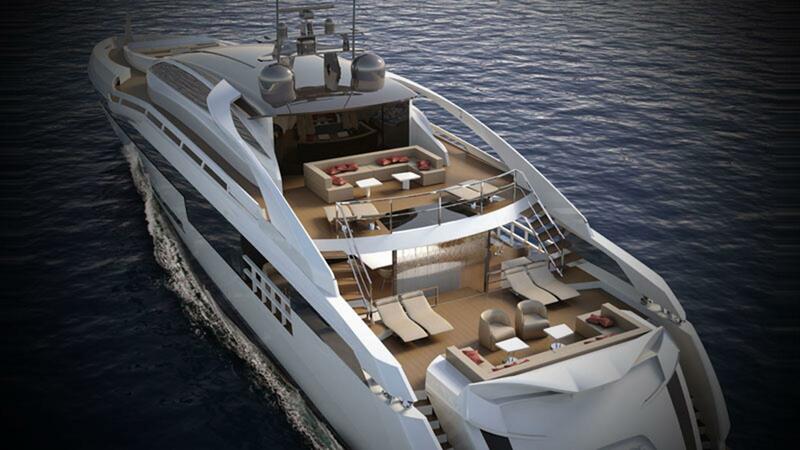 This 49-meter yacht features sportive and radical design by Fulvio di Simoi and yes she is actually 49-meters because changes were made during construction of the original 47-meter frame. 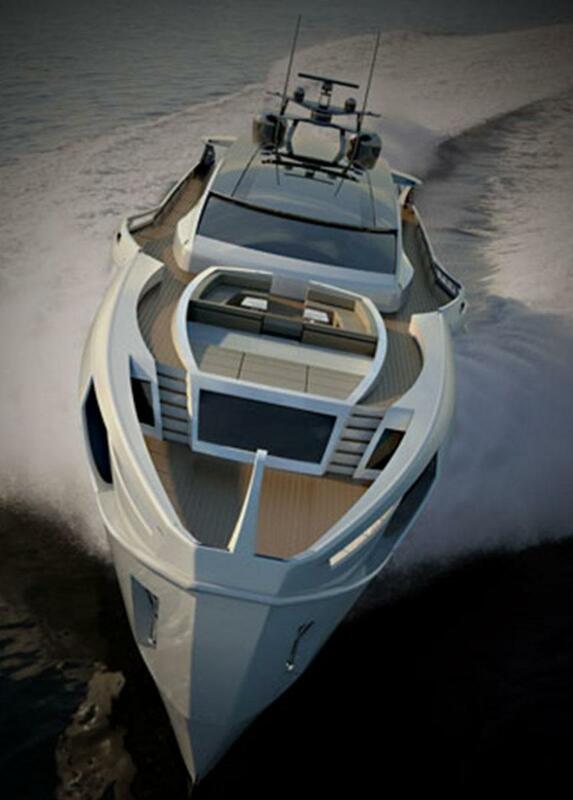 The all-aluminium yacht was known as hull number FR034 in build. Achille Salvagni was responsible for putting together the interior concept and arrangement. Accommodation onboard is for around 10 guests. Two master grade suites are actually available on the main deck and both have fold down balconies to be used while at anchor. The other guest cabins are on the lower deck and include three staterooms. 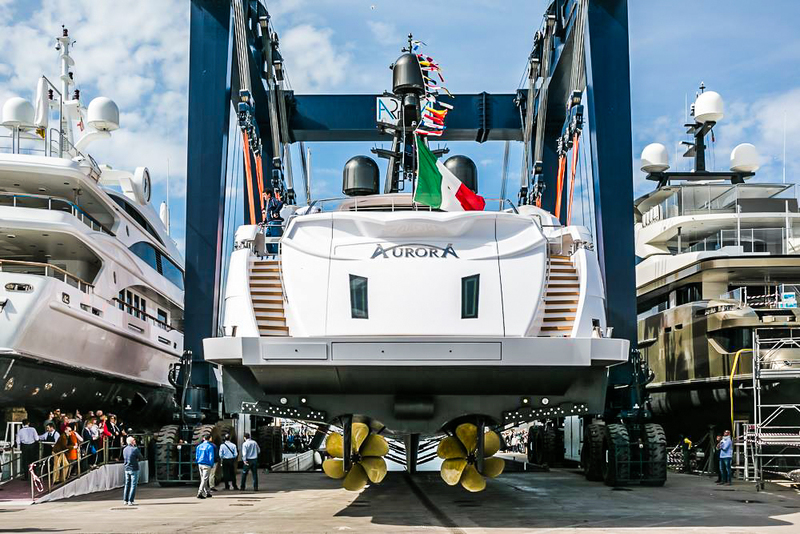 A pair of MTU engines rated at around 3,460 HP each should allow Aurora a 17 or 18-knot fast cruising speed at half load configuration. 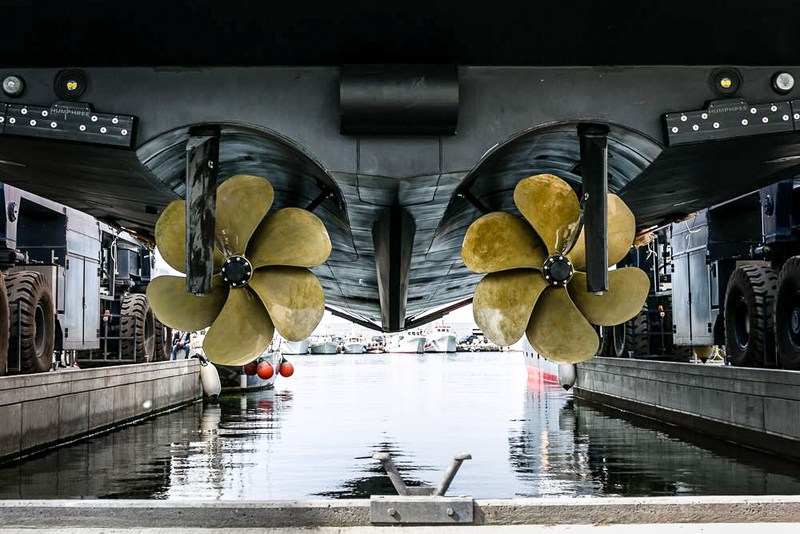 Push the throttles fully forward an a 21-knot top speed is anticipated. 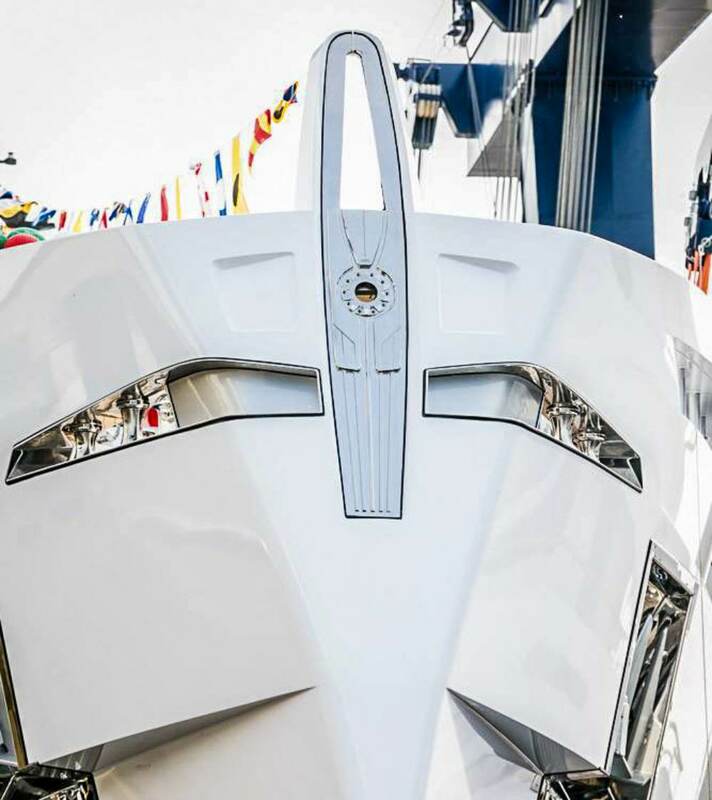 Dial her back to a continuous 12-knots and a 3,800 nautical range is possible. With the breaking of a champagne bottle on the anchor and the release of 500-plus balloons in the colours of the Italian flag.